TO SOME HE WAS A RUTHLESS CRIMINAL. TO OTHERS, HE WAS A CHARISMATIC HERO. 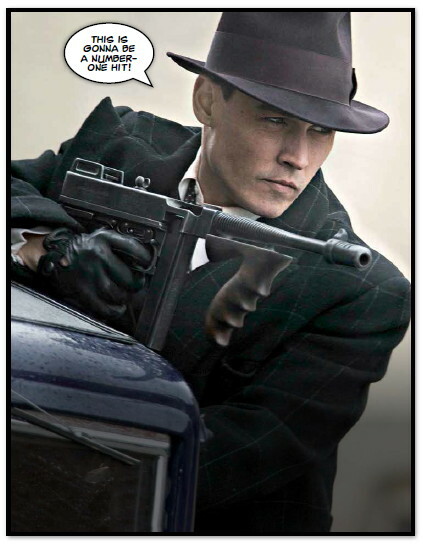 JOHN DILLINGER WAS AMERICA’S ORIGINAL “PUBLIC ENEMY NUMBER ONE”. Dillinger was a rebel from an early age. At school, teachers complained about his “bewildering personality”, and he often bullied the smaller children. Dillinger admitted that his ambitions were very different from those of his classmates. “My buddies wanted to be firemen, farmers or policemen, something like that,” he said. “Not me, I just wanted to steal people’s money!” After seventh grade, Dillinger left school and went to work. He also started to stay out all night at parties. His father, reportedly a strict parent, feared his son was getting out of control. So, he moved the family from inner city Indianapolis to a rural area of Indiana, hoping the quieter lifestyle would have a positive effect on his son.